Young Delhi’s wicket-keeper batsman Rishabh Pant made his Test debut on Saturday and scripted history by taking five catches. 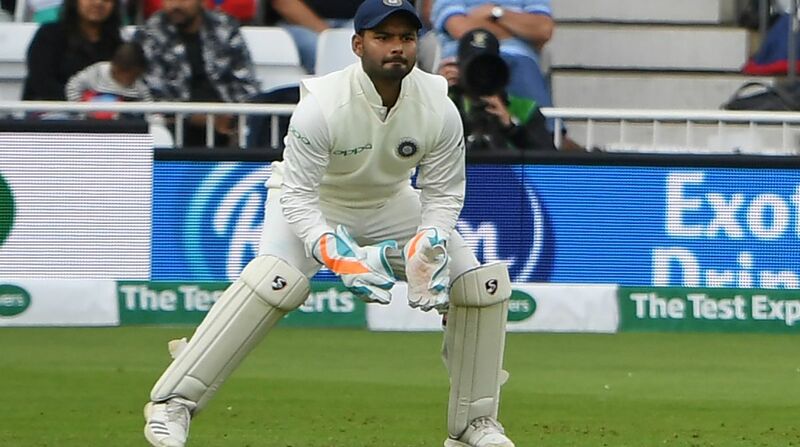 Pant had become first Asian wicketkeeper-batsman to bag five catches in a one innings in his debut match and fourth Indian keeper to take five catches in his very first match. On Sunday, Pant joined the elite club of Naren Tamhane (vs Pakistan in 1955), Kiran More (vs England in 1986) and Naman Ojha (vs Sri Lanka in 2015), all of whom took five catches on their debut in the longest format of the game. Rishabh Pant is India’s 291st Test player. He achieved this feat by taking the catches of Alastair Cook, Keaton Jennings, Ollie Pope, Chris Woakes and Adil Rashid in England’s first innings. England were bowled out for 161 in their first innings in reply to India’s 329. Pant, who replaced Dinesh Karthik, had earlier marked his Test debut in style by slamming a six off leg-spinner Adil Rashid in the second ball of his innings. Pant, however, failed to make it big and was out for 24 off 51 balls.